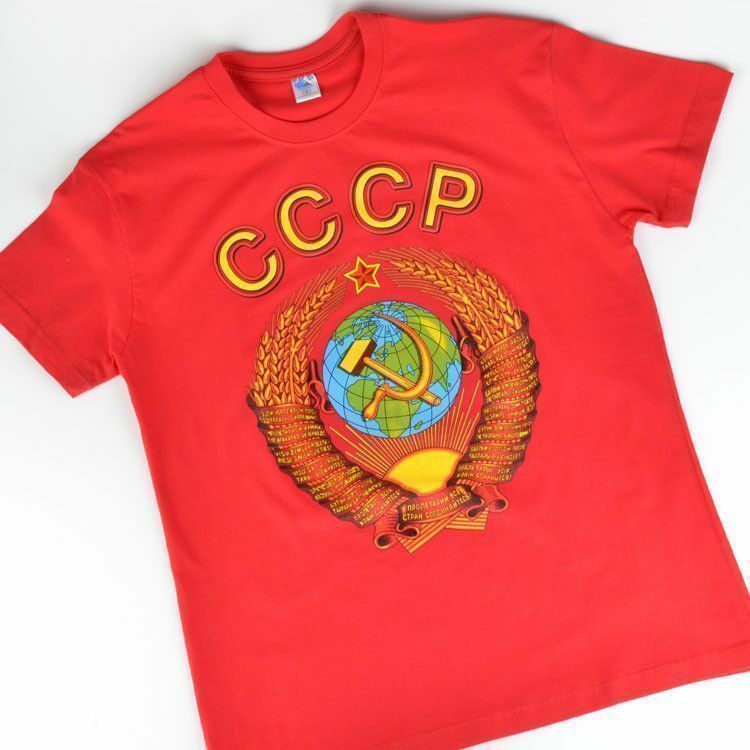 These souvenir T-Shirts are a rare find. 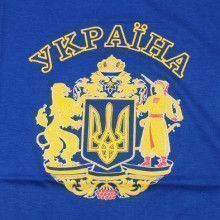 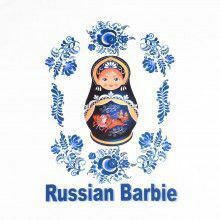 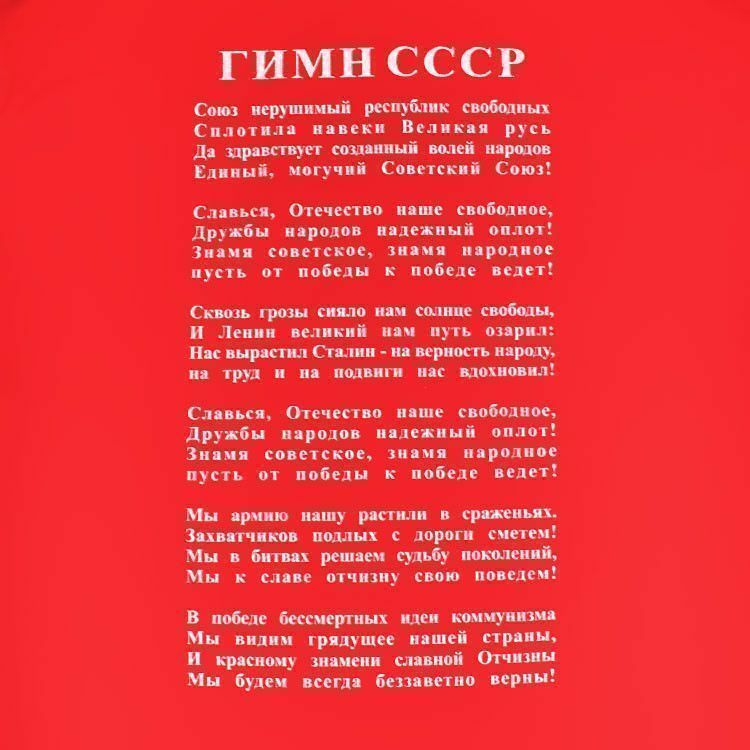 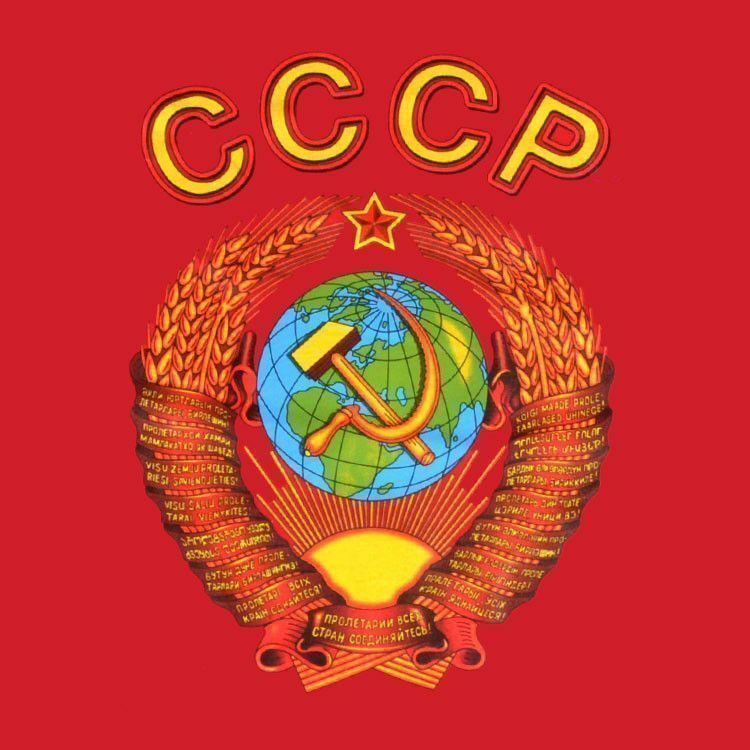 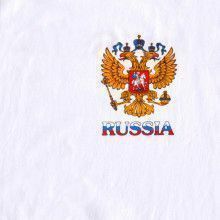 This shirt features a colorful and detailed picture of the Soviet Crest on the front and on the back is the Soviet Union anthem in the Russian language. 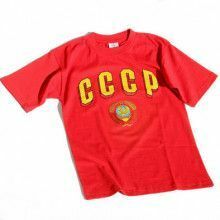 approximate sizes for this short-sleeve tee are listed below.